The ToxiRAE 3 is a full-featured single-gas monitor that offers unequaled cost of ownership value. The ToxiRAE 3 is compatible with the AutoRAE Lite pump and calibration station and features a rugged steel housing for harsh environments. This detector is warranted for 2 years and maintenance-free with replaceable battery. 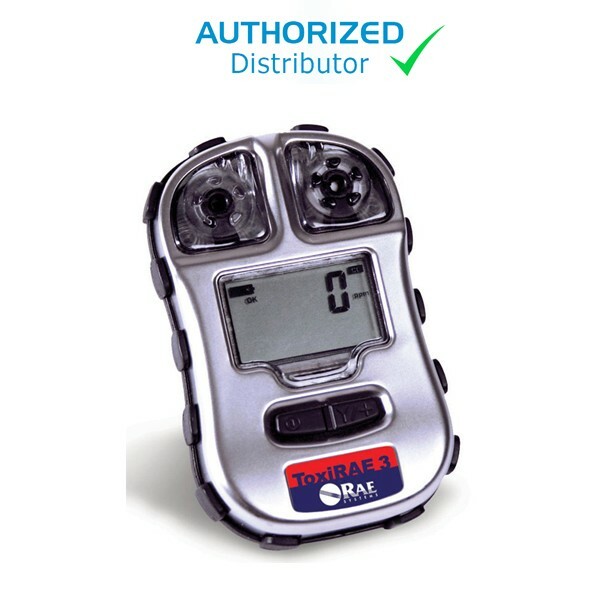 Includes: H2S sensor with 0-100 ppm range, 2/3AA Li-Ion Battery, CD, Alligator Clip, and Calibration Adapter. High-performance 3-electron pinless microsensor with the fastest response time. Includes H2S sensor with 0-100 ppm range (CO sensor available). Large, easy-to-read display facilitates overview of gas concentration. Event logging of up to 10 events. Full activity records when used with AutoRAE Lite calibration station. Loud, 95 dB audible alarm, bright red flashing visible LEDs, and internal vibration alarm. Color-coded labels for gas type. Extended operating temperature of -4 to 140F (-20 to +60C) with full T4 approval.